Ed Sheeran performs in concert on the opening night of his Australian tour at Optus Stadium on March 2, 2018 in Perth, Australia. 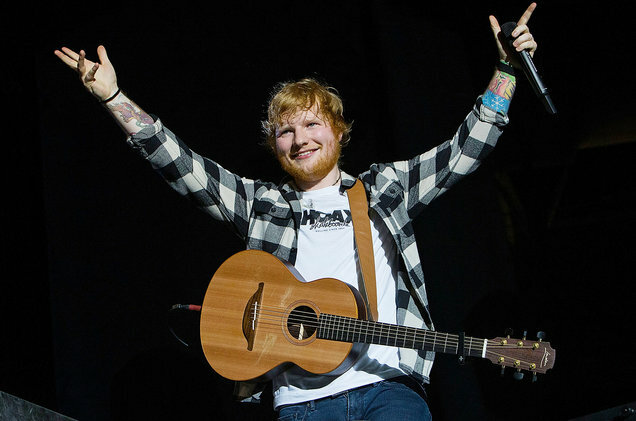 With "Perfect" & "Shape of You," Sheeran is the only artist with two such smashes as a lead artist. As previously reported, Childish Gambino's "This Is America" debuts at No. 1 on the Billboard Hot 100 chart (dated May 19), marking his first No. 1. Meanwhile, Ed Sheeran makes history in the top 10, as his former six-week leader "Perfect" re-enters the tier, rebounding from No. 12 to No. 9. With the rise, the song spends its 26th total week in the top 10, becoming only the 10th single in the Hot 100's 59-year history to log at least half a year in the bracket. Plus, with Sheeran's 2017 No. 1 "Shape of You" holding the record with 33 weeks in the Hot 100's top 10, he is the only artist with two such long-lasting hits as a lead artist.